You know, whenever ponies talk about powerful magic, they always leave me out. 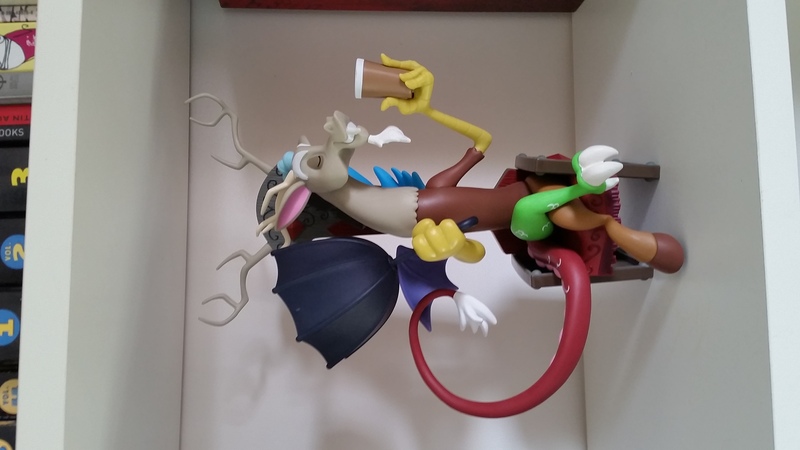 I don't usually buy any fandom merch, especially if it doesn't do anything but take up shelf room, but I'm really happy with Discord. He's less a toy, more a plastic sculpture, decently sized and durable. It turns out he comes off the throne and his wings are posable, which I like. The last season of ponies gave me an even greater appreciation of his character. Essentially a demigod and never altogether innocent, his arc has shown some serious movement since he was first introduced as a villain, especially considering that he's only appeared in a handful of episodes. When I was a little girl, shows for little girls never had characters like Discord. Shows for little girls never reformed villains into jealous but caring super-powered allies. Shows for little girls never made monsters into toys. 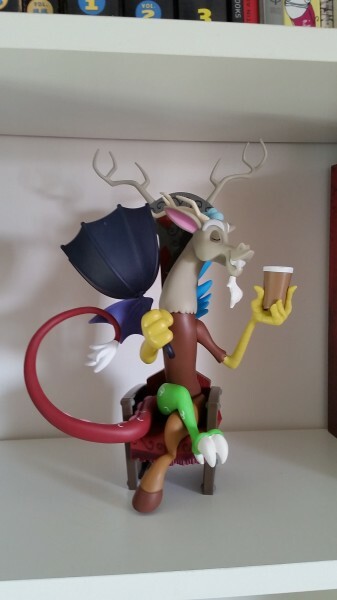 Raise a...coffee, or chocolate milk, or whatever that is...to everyone's favorite draconequus.